In the above example, the e-commerce website combined four different products to cater to one customer. It drives sales for multiple products with a minimum of marketing tactics. The amount of money saved on the purchase drives customers to make the purchase. How to Create Product Bundles? As per Matt, owner m2media, a creative web design company in Brisbane, "For an e–commerce business to flourish it has to adapt to the ever-changing dynamics of the digital world. Product bundling is the latest trend which has to be a prominent feature of services provided by a web designing company". 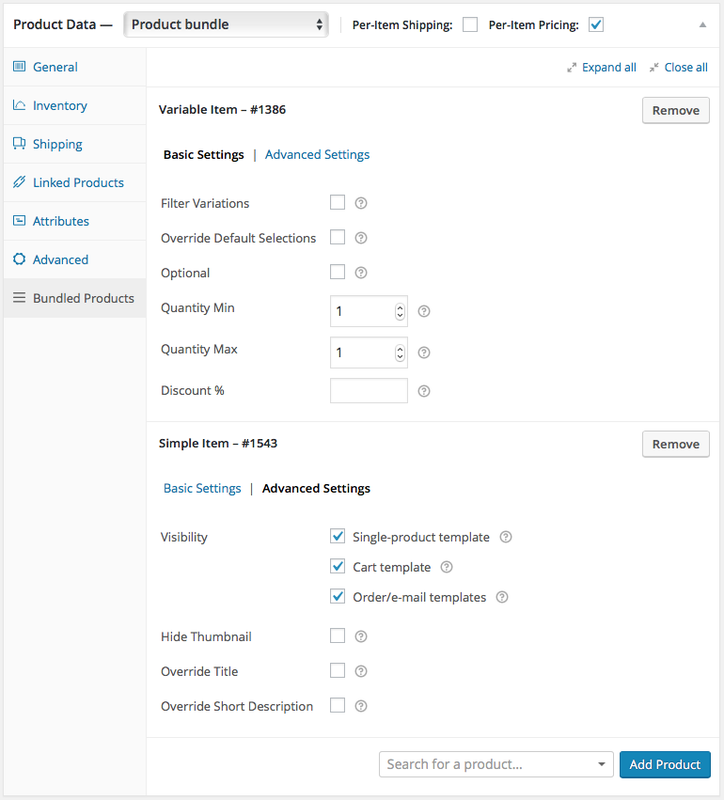 WooCommerce: Provides with pre-configured as well as customized bundling option. It also supports extensions such as Product Add-ons, Name Your Price and Composite Products. Also provides with free snippets and mini-extensions for customization and improved functionality for bundles. Shopify: Shopify app lets you suggest “bundle” to your customers. Customers can simple “Add bundle” to make the purchase and get discounts offered with it. Bundle suggestions are shown below along with the discount offer which a consumer searched for as shown in the picture below. Go for the free 15day trial to decide if you want to continue or not. Related products block is turned off at the time of installation. How Product Bundling Improves Revenue Generation? Compared to a single highly priced product, bundled products seem easy on the pocket with a discount offered on the purchase. Check out the example below wherein a customer looking to buy DSLR camera is directed to bundle suggestion with a lucrative deal. Camera and Lens pairing, in this case, is a smart choice to appeal to the consumer. For an ideal product bundling approach which we will take up later in the article, it is necessary to provide options related to the main purchase and highlight the deal by pointing out the benefits. Plan a perfect deal to influence consumer buying decision. With product bundling the consumers who turn away can be enticed to make the purchase. It is the search for products which sometimes drives the consumers away. The consumer does not have to go look for what matches and what not. It makes the purchase simple and easy for the e-commerce shoppers. Average order per value has a direct impact on the overall revenue generation. Average value is the total revenue generated per number of checkouts. Consider the picture below wherein a shopper looking for a pair of earrings is tempted to go for rather 3 pairs. A single checkout, in this case, yields benefits for the e-commerce store by increasing the average value per checkout. For the consumer, the price value saved is to too tempting to resist. How to Promote Product Bundles? Product bundle as an entire package. Product suggestions in midst of consumer shopping journey. Cross selling when products are being added to the cart. Leverage statistical data for the spending patterns of existing customers. With assistance from e-commerce software such as one provided by Glew make combinations for product bundling. Highlight the bundle benefits: Point out how much a consumer saves on purchase with bundling and without it. Highlight it and bring it to notice on the product description page only. Promote bundles: With “Add this and save” option at the time of check out offers suggestions and recommendation to drive sales. Dedicated bundle pages: It would be benefitting to provide a separate bundle page if there are a lot of combinations for bundling. Highlighted below is the e-commerce store which uses “Value Sets” as product bundle suggestion for an array of beauty products. Consumers benefit from value-oriented purchase from a single offering. The overall cost is lower that the actual cost of the products combined. Ease of shopping without wasting too much time looking for products. Combine bundle offers with a sense of urgency by having a “limited offer” or a specified day period for the deal to end. Customers should feel the urgency make the purchase and not be diverted to your rivals to look for options. Ensure to access the productivity of the bundle combinations with the website you align with. Test the combinations in terms of relevancy to make sure a consumer will be driven to make the purchase.